Ghirardelli Square is located in the historic Fisherman’s Wharf area of San Francisco. 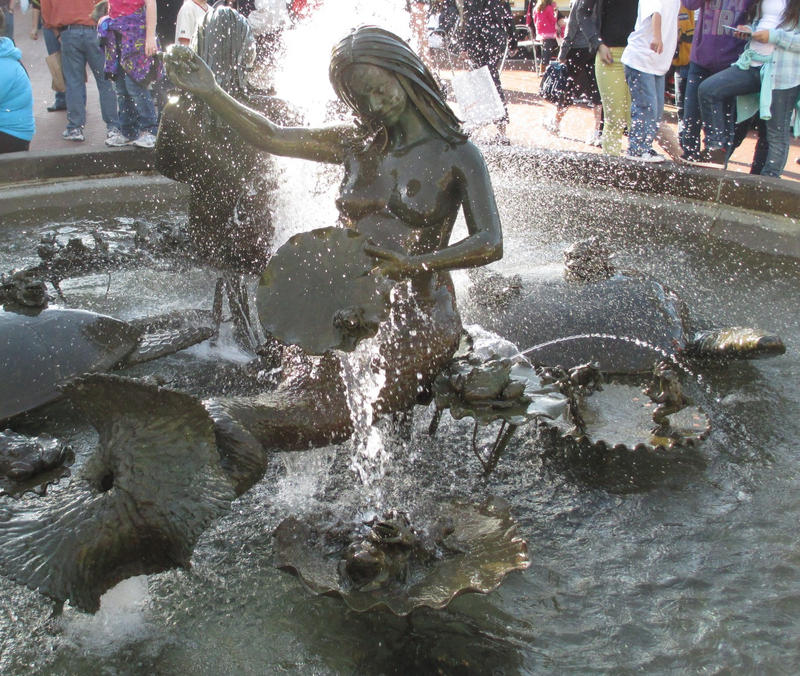 The centerpiece of the square is Andrea’s Fountain with statues of turtles, large frogs, two mermaids and a mermaid child. Mermaid Statues in Ghirardelli Square. Photo © by Tyson Villanueva. The fountain was created in 1968 by Ruth Asawa, and has a varying water feature – at times quiet, at other times gently spraying water and sometimes splashing water over all the fountain elements. Asawa was instrumental in creating the San Francisco School of the Arts (renamed in tribute to her in 2010 to Ruth Asawa San Francisco School of the Arts). She passed away on August 5, 2013 at the age of 87. Then-owner William Roth selected Ruth Asawa, well known for her abstract, wowen-wire sculptures, to design and create the centerpiece fountain for Ghirardelli Square. Although it was unveiled amid some controversy in 1968, Asawa’s objective was to make a sculpture that could be enjoyed by everyone. She spent one year thinking about the design and another year sculpting it from a live model and casting it in bronze. 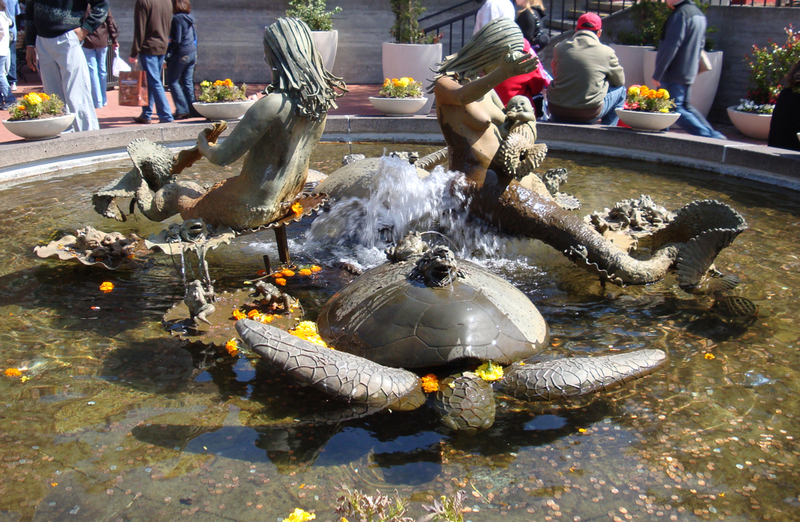 Although landscape architect Lawrence Halprin attacked Asawa’s design of a nursing mermaid seated on sea turtles for not being a “serious” work, Asawa’s intentions were clear: “For the old it would bring back the fantasy of their childhood, and for the young it would give them something to remember when they grow old! 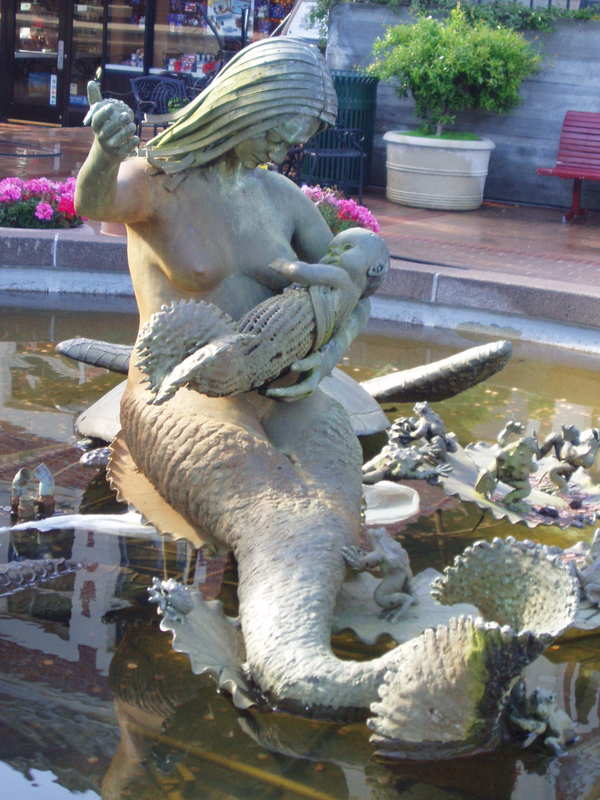 The most photographed feature of Ghirardelli Square, the fountain was named in honor of Andrea Jepson, the woman who served as the model for the mermaid. Mermaid Statues in Ghirardelli Square. Photo © by Timothy Carroll. 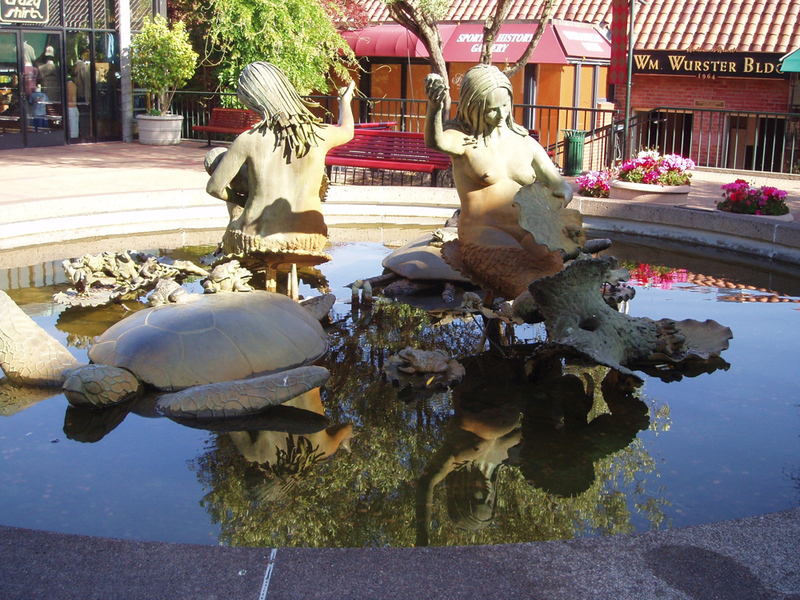 Mermaid Statues in Ghirardelli Square. Photo © by Diana Jepsen. See more at the Andrea’s Fountain page.